Welcome to Heritage’s guide to performing historic property research in the City of San Francisco! While these resources were compiled with San Francisco in mind, some may also include useful information or tips about research in surrounding Bay Area cities. Please continue to check back as this section grows. These sections include a comprehensive collection of resources covering architecture, building trades, real estate, city records, and more. For more in-depth advice about individual sources, visit the Library’s blog, What’s on the 6th Floor? For more information about the San Francisco History Center, click here. 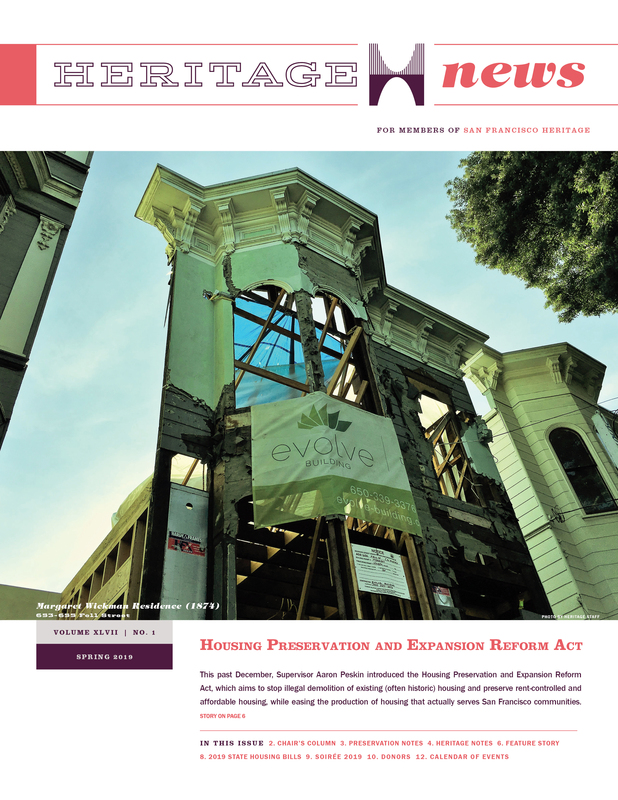 The San Francisco Planning Department also provides online access to a number of resources and publications. The SF Property Information Map is an extensive public database that includes zoning information, preservation planning, and access to building permits. The department has also compiled a list of consultants and technical documents that can aid in the process of research and environmental review. The David Rumsey Map Collection contains more than 150,000 maps spanning the globe. Of particular interest to San Francisco Researchers is the rare six-volume 1905 San Francisco Sanborn Insurance Atlas, which depicts the city in the months leading up to the earthquake and fire of 1906. The maps are housed at the San Francisco History Center, but newly available color digital copies are available online. Old SF provides an alternate way of exploring the San Francisco Historical Photograph Collection using geocoding, which links the images to points on a map. Approximately 13,000 photographs have been added so far. The majority of photographs at OpenSFHistory were taken by commercial and amateur photographers, and the collection provides a comprehensive overview of San Francisco, its residents, and environs from the 1850s through the 1970s. Content includes infrastructural improvements as documented by the Department of Public Works, the Department of Parks and Recreation, and the San Francisco Municipal Transportation Authority; residential and commercial architecture (existing and demolished), including amusement parks like Playland at the Beach; pivotal events in San Francisco history, such as the 1906 Earthquake and Fire and the 1915 Panama-Pacific International Exposition; prominent San Franciscans, such as Adolph Sutro and John McLaren; as well as informal street scenes, snapshots of daily life. All images are linked to points on a map. Over 10,000 photographs from a private collection of over 100,000 have been added so far. Heritage maintains a significant collection of materials related to San Francisco history and architecture, including some unique resources not found elsewhere. Access is available to Heritage members. For more information, please contact Bill Beutner. Original surveys conducted by Heritage, including Downtown, SoMa, Chinatown, Lower Nob Hill, Tenderloin, Inner Richmond District, Van Ness Corridor, Dog Patch, Piers, Civic Center. Files for Landmarks, Historic Districts and neighborhoods.